The heart-rate monitor in an Apple Watch can help diagnose a surprising variety of health problems. People sometimes say the loss of a loved one has left a hole in their heart. A young Australian man discovered he had a literal one. And this serious medical condition wouldn’t have been diagnosed without his Apple Watch. The heart-rate monitor on his smartwatch found that his heart was beating far too fast when he was asleep. This caused him to seek medical attention. “My sleeping heart rate was averaging about 130-140 beats per minute. So that was while I was resting about six hours at night,” Adam Love told the local 9News. Just as bad, one of his lungs was sending blood into the wrong atrium of his heart. That means the blood was just circulating from the lung to the heart and then back, not around to the rest of his body. After heart surgery, the 24-year-old was able to leave the hospital, though he still has weeks of recovery ahead. Several other young people credit their Apple Watch for saving their lives. This spring, a Florida teenager discovered she had chronic kidney disease when her wearable alerted her to a dangerously high resting heart rate. 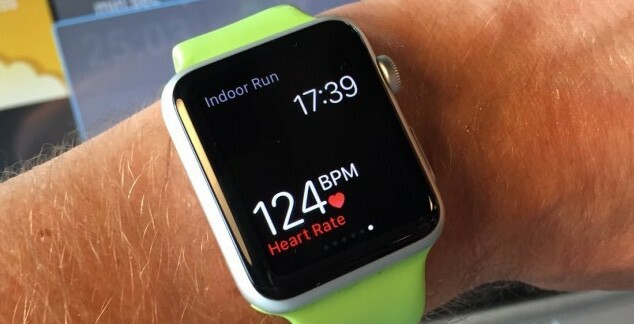 Another teen was suffering from rhabdomyolysis after too much exercise, and the heart-rate monitor in his Apple Watch alerted him that something was wrong. And these are just a couple of examples. This smartwatch has saved a number of lives within just the past few months.